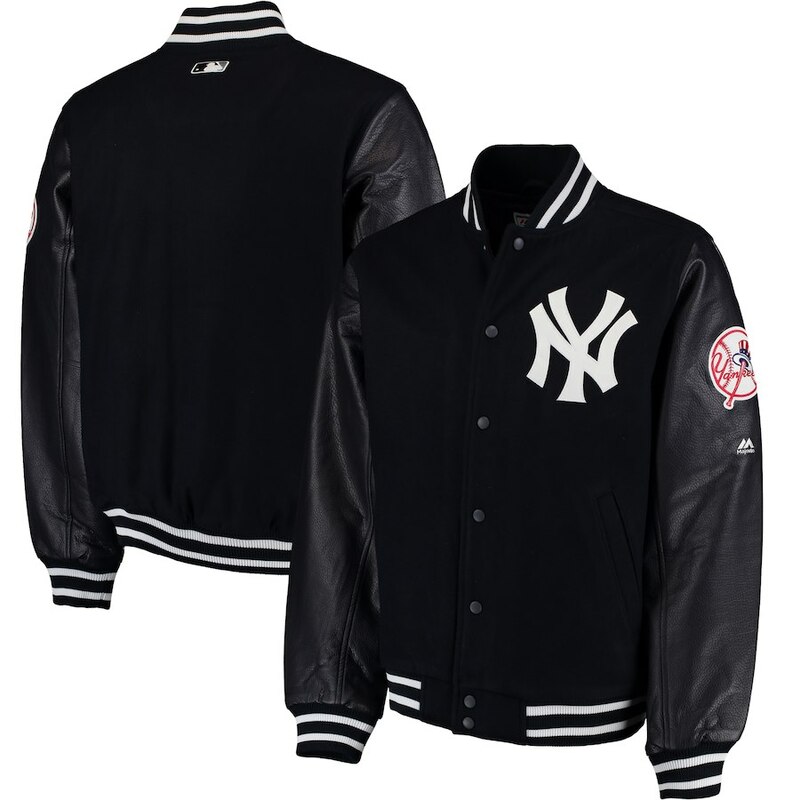 New York Yankees Varsity Jacket ! 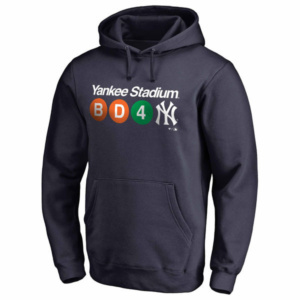 Prove that you’re a true New York Yankees supporter when you wear this Fanatics Branded Hometown NY Subway pullover hoodie to the next game! 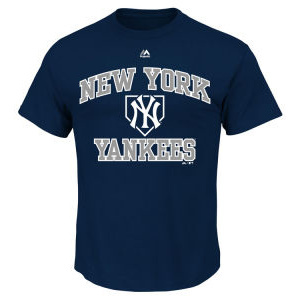 Wear this New York Yankees MLB Men’s Hit and Run T-Shirt to give your favorite baseball team the support they need at the next big game. 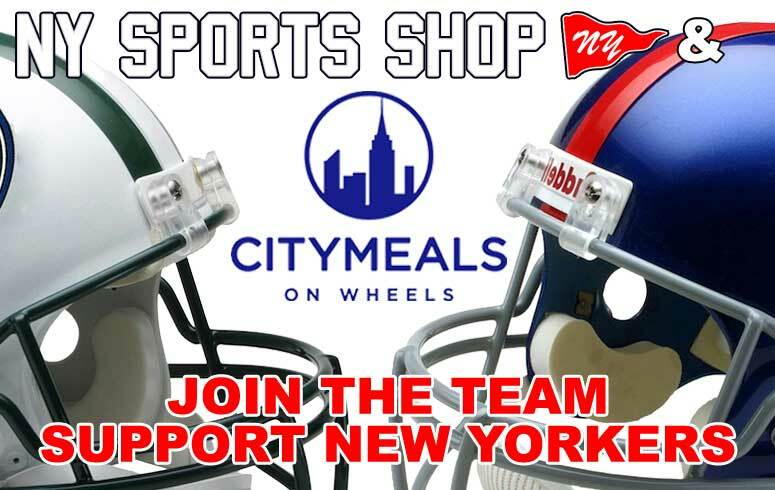 This t-shirt design features your team’s name and logo in festive colors so that everyone knows who you are cheering for. 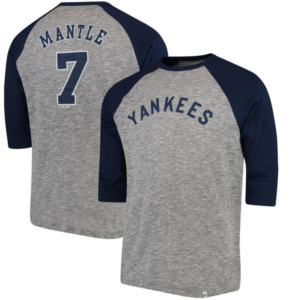 Prove that you’re the ultimate MLB fan with this New York Yankees Cooperstown Stirring Envy 3/4-sleeve raglan T-shirt from Majestic! 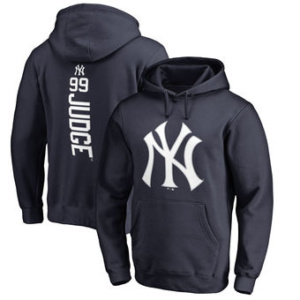 Show your Yankee pride when you wear this hoodie from Fanatics Branded. Looking forward to baseball this summer 2018 will be very exciting ! 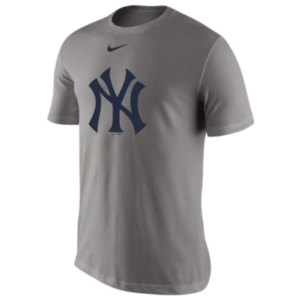 Make sure everyone knows you’re the greatest New York Yankees fan around! 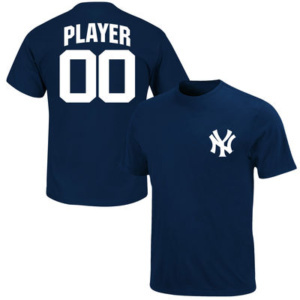 This Majestic custom roster name and number t-shirt is just the New York Yankees item to do it. 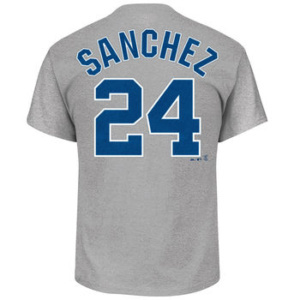 This tee features custom name and number graphics or you can select your favorite player on the roster! 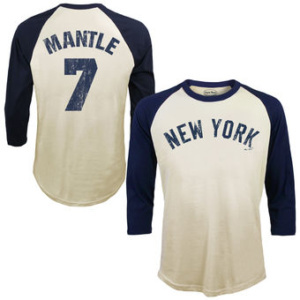 Get ready to cheer on your New York Yankees with this trendy Mickey Mantle Softhand Cotton Cooperstown Name and Number T-shirt from Majestic Threads.